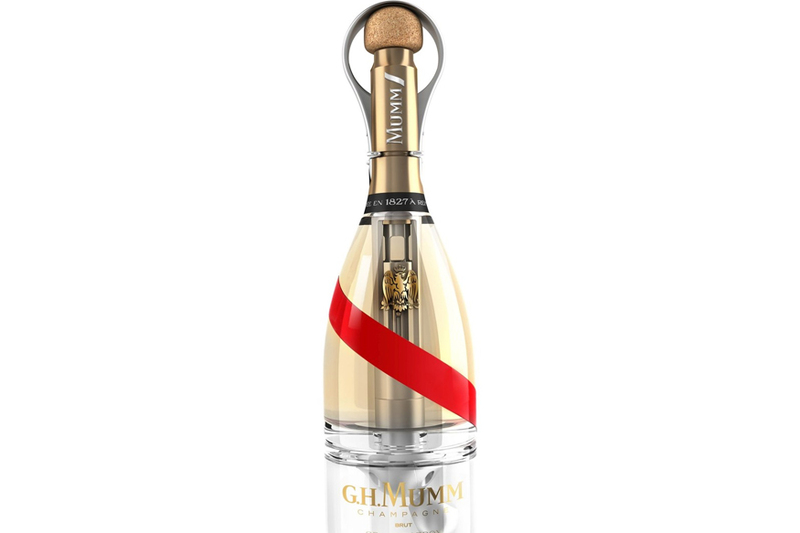 With the specter of commercial space flights looming on the horizon, Maison Mumm partnered with a start-up company specializing in space design to create Mumm Grand Cordon Stellar, which reinvents the champagne-drinking experience specifically with space travel in mind. Set to make its grand, galactic debut in September, the space-readiness of the bubbly lies in its high-tech bottle design: The bottle harnesses the champagne's gas to expel the liquid into a ring-shaped loop, where it is concentrated into a droplet of bubbles. The droplets are then released into the zero-gravity atmosphere, where drinkers catch the mousse-like champagne in specially designed glasses that resemble golf tees. And just as food and drink can famously take on different flavor profiles at 39,000 feet in the air, the same logic applies to champagne when consumed in zero-gravity conditions: fruitier, creamier, complex and more intense compared to the experience of drinking the champagne on terra firma, said Maison Mumm's cellar master Didier Mariotti. "It's a very surprising feeling," he said in a statement. "Because of zero gravity, the liquid instantly coats the entire inside of the mouth, magnifying the taste sensations. There's less fizziness and more roundness and generosity, enabling the wine to express itself fully." The Mumm Grand Cordon Stellar will be served aboard zero gravity flights operated by Air Zero G. Discussions are also underway for supplying future space missions and commercial space flights -- for now, accessible only to the world's most affluent -- with the space flight-friendly bubbly.